No Matter How Soon You Need It There, Wev'e Got You Covered! Yellow Rose Delivery Service offers affordable and dependable home furnishing delivery services. When it comes to prompt and efficient courier and delivery services, no one knows the business better than Yellow Rose Delivery Service in Dallas, TX. They have more than 22 years of experience providing fast and affordable delivery services to local residents and businesses. Every courier who works for Yellow Rose Delivery Service must adhere to the company’s high set of standards for providing courteous and efficient courier services. 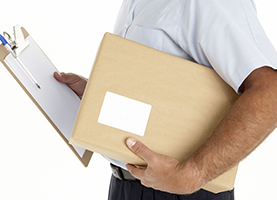 Each employee must undergo an extensive background check prior to employment. They must also maintain an excellent driving record. Yellow Rose Delivery Service offers customized service plans that allow you to determine exactly what type of services you require. You can use their services for just a one-time delivery project, call them anytime you need something important delivered, or set up a daily or weekly service plan for any regular delivery needs. Arranging your services with Yellow Rose Delivery Service is simple. You can call, email, or text their office to request the delivery services you need. Yellow Rose Delivery Service does not require you to prearrange your delivery services, although you can do so for your assured convenience. They offer on demand 24/7 services every day of the year. 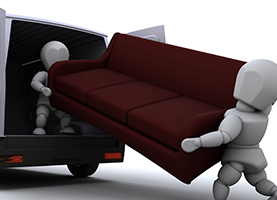 If you need something delivered quickly and efficiently, turn to Yellow Rose Delivery Service. Call their Dallas, TX office to learn more about their courier services and affordable rates.